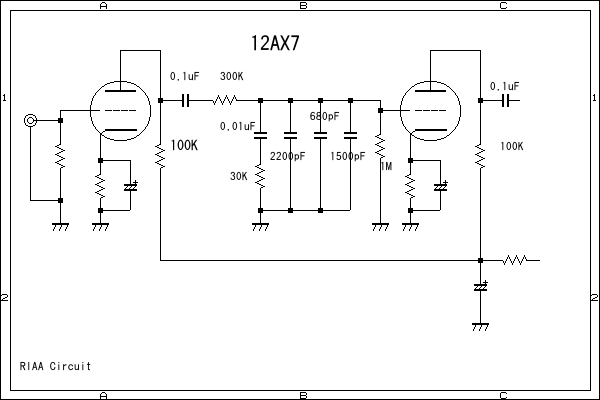 Circuit diagram is indicate next. 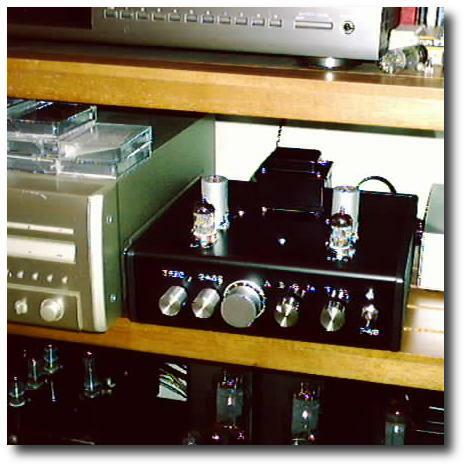 buffer amplifier .because generally modern equipment has too much gain of out put than old one. 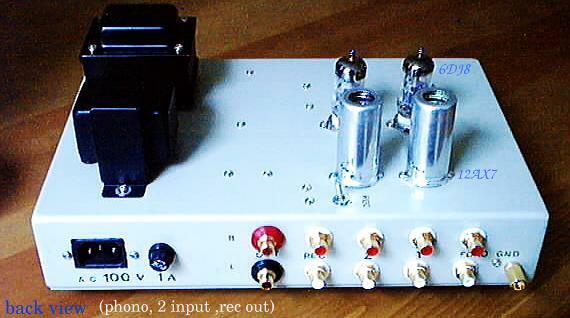 so this one does not have any more amplifier stage.simple is best. instead 5670 . this tube is good for audio but slightly get more microphonic noise than regular audio tubes. 6AQ8 , 6DJ8 better.if you would like to use 5670 cathode resistance are 500 ohm better. and should be apply to heater bias. some high voltage to heater circuit for protect tubes. 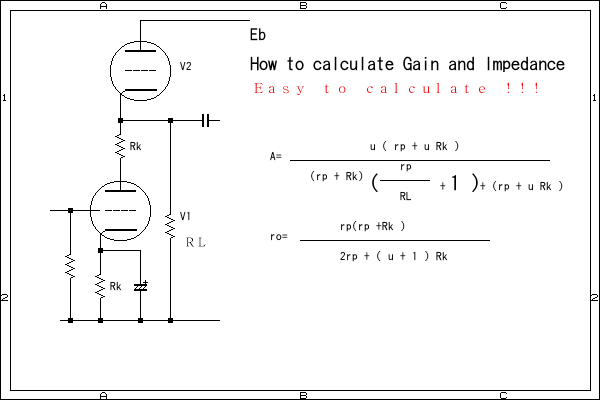 coupling capacitor are probably use combination each other with film capacitor and oil ones. like a Vita Q ,Orange drop.etc.for much better to hear tone do you like. 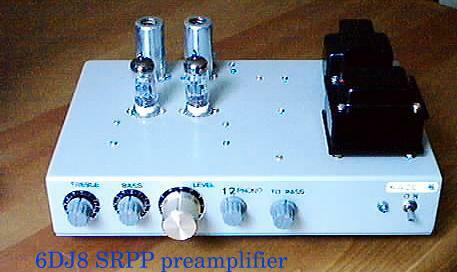 9th June 2004 SRPP 6DJ8 preamplifier. a un par de parlantes Altec modelo A7. sobresalientes cuando dichas notas aparecen en la musica. resolucion de los timbres instrumentales en obras musicales complejas. musica, de la combinacion amplificador 6EM7 Kaze y preamplificador Kaze. un muestreo de lo mejor de W.A. Mozart. Lado A del disco 1. Del primer movimiento de la Sinfonia No. 25 de W.A. 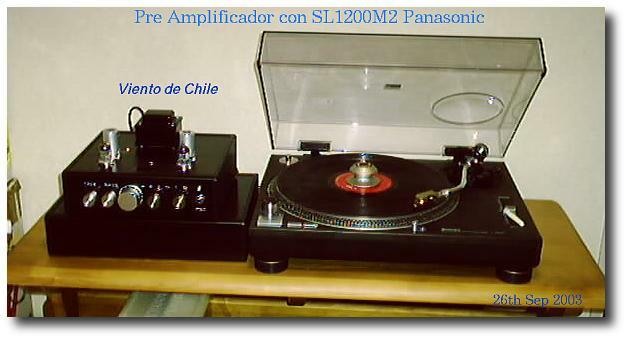 sonido y afinacion de niveles sobrenaturales. De la musica gitana del S.
latido que impulsa esta obra hacia su resolucion final. reproduciendo las grabaciones analogas de vinilos magnificos. 1 OUT PUT and REC OUT with rec out switch. 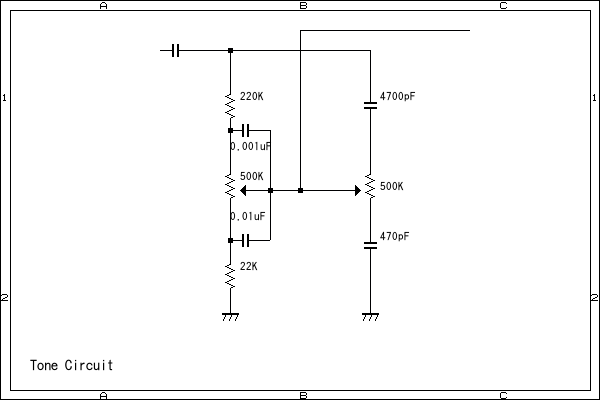 diagram is same as above .cathode resistance of 6DJ8 are 200 ohm each. This pre can use MM position cartridge ,such as AT 150 (Audio Technica),and Techniques 2700.
and with step-up transformer can use MC cartrige.such as DL 103 (Denon) AT-33 (Audio Technica ). Network should be replace depend on different EQ .RIAA,FFRR ,RCA , DECCA, so many.